The aviation enthusiast community may not have too much respect for The Economic Times newspaper when it comes to technical accuracy when reporting aviation related stories, but hats off to a great article that goes in to the depths on how the deal for a 24% stake by Etihad Airways in Jet Airways was negotiated and struck. The article goes behind the scenes, giving insight in to the motivations, events, players, and tactics involved in the negotiations. A definitely must read. 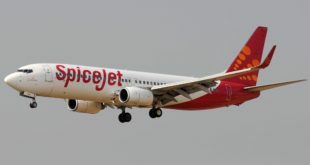 One crucial observation, Jet Airways first met Etihad in June 2012, a full three months before the government announced the new liberalised policy of allowing foreign airlines to invest in Indian carriers. Quite clearly, Mr. Naresh Goyal’s connections served him well.